Arlington National Cemetery uses upright marble headstones. The United States Department of Veterans Affairs will supply a government headstone for the grave of any deceased eligible veteran. The VA will accept applications for headstones from the veteran's next of kin or from a person with written authorization from the veteran to make the application. Government headstones come in either flat style or in upright style and are made of bronze or marble. Bronze niche markers are available for columbaria for inurnment of cremated remains. 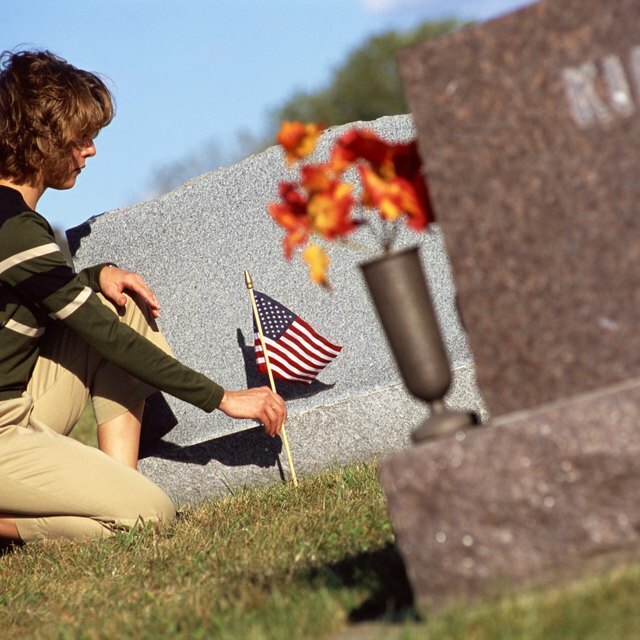 Determine if the cemetery is a veterans' cemetery or a civilian cemetery. The process of ordering headstones is different for the two. 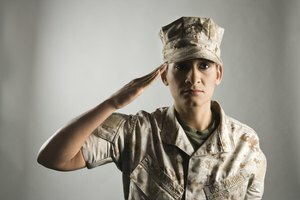 Determine that the veteran is eligible. Any veteran who received an honorable discharge before 1980 is eligible. 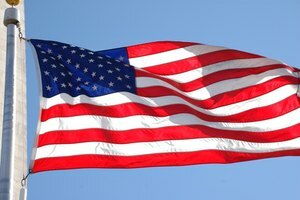 Enlisted persons whose service began after September 7, 1980, and officers whose service began after October 16, 1981, are eligible if they served their full period of active duty. Check with the cemetery to see if it has any restrictions on the size or type of headstone. Veterans' cemeteries want all the headstones to match. Civilian cemeteries may also have restrictions. Fill out VA Form 40-1330. This form requires name of the deceased veteran, branch of service, highest rank attained, dates of service, kind of marker and an emblem of belief. It also requires information about the applicant and the cemetery where the headstone will be placed. 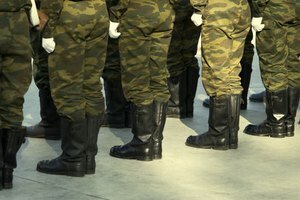 Attach a copy of the veteran's DD Form 214 or some other proof of qualifying military service. 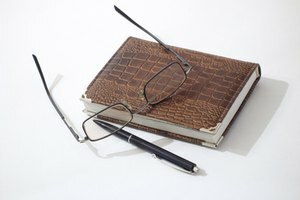 The DD Form 214 can be requested online from the National Archives. 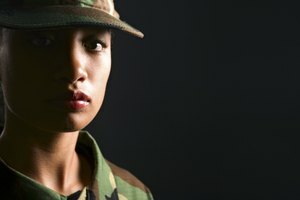 Attach written authorization from the veteran if you are not the veteran's next of kin. Submit the forms to cemetery officials if the veteran is buried in a veterans' cemetery. If the veteran is buried in a civilian cemetery, send the forms to Memorial Programs Service (41B), Department of Veterans Affairs, 5109 Russell Road, Quantico, VA 22134-3903 or to the address on the current version of the VA Form 40-1330. 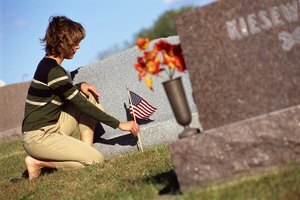 Spouses and dependents that are buried next to the veteran may have a government headstone only if they are buried in a veterans' cemetery. If they are buried in a civilian cemetery, both the spouse's name and veteran's name can be carved on the same government headstone. If a dependent needs a separate headstone, a government headstone will not be issued for use in a civilian cemetery. If you need any help requesting the headstone, contact your nearest regional VA office. They will help you free of charge. If you want to use a military headstone in a cemetery other than a state or national veterans' cemetery, the VA will pay for the cost of the headstone and the cost of shipping, but you will need to pay for placing the headstone on the grave. Peterson, Susan. "How to Order a Military Headstone." Synonym, https://classroom.synonym.com/how-to-order-a-military-headstone-12084838.html. 29 September 2017.